As the news came through that Donald Trump had been successful in beating Hillary Clinton to the White House, the world stood in shock. No matter which side of the political divide you positioned yourself on, it’s fair to say that his success was surprising. In fact, during the run up to the election, most of the professional pollsters, pundits and political hacks predicted the contrary. On the morning of the day after, I sat (in a state of shock) listening to the Today programme on BBC Radio 4. The presenters were dissecting the results and exploring the political ramifications of the incoming presidential regime. As part of this discussion, an attempt was made to summarise the contemporary geo-political situation Trump will inherit. The discussants reviewed Trump’s campaign strategy and mused over his many (misleading) statements. What haunted most of them was the slogan that dogged his campaign; ‘Make America Great Again’. Behind this, a grab-bag of diverse political groups somehow successfully appropriated this tag line and legitimised their own varying political agendas. Something so simple had morphed into something more complex. Despite this apparent complexity, Trump became an expert in avoiding detail. The how’s, what’s and why’s were rarely (if at all) addressed. In fact, the whole election campaign seemed overwhelmingly shallow. Frustrated with immigration? ‘Let’s build a wall’. Outright racism and xenophobia? ‘Freedom of speech’. Everyday sexism and misogyny? ‘Locker room talk’. Discussions that should have been about policy, ideas and agendas seemed worryingly to descend into bumper sticker phrases. Unfortunately, American politics doesn’t have a monopoly on simplistic political debate. The EU referendum debate had discussion points that were equally narrow. Concerned about immigration? ‘Get out the EU’. Questioning national sovereignty? ‘Get out of the EU’. Worried about competition, wages and investment? ‘Get out of the EU’. Again, complex concerns boiled down into an overly simplistic decision; in or out. Theresa May’s‘Brexit means Brexit’ slogan beholds a similarly elusive quality. Yet when trying to understand what Brexit actually entails, we are too often left in the dark. Where on earth are the details? Where is the time for thought, and spaces for meaningful contemplation? It seems if it doesn’t easily fit onto a poster, or in a newspaper column, viral infomercial, or a political broadcast, it just isn’t worth mentioning. With these political thoughts in mind, I sat down and read Luchs and Miller’s (2016) article exploring participatory visual methodologies for engaging with refugee stories. Utilising personal stories from three refugees who fled persecution in Rwanda and Zimbabwe, they powerfully advocated for the use of digital stories, photo-essays, mixed media collages and workshops in geographical work. In adopting these methodologies, they produced ‘Mapping Memories’, a touring educational project that enabled understanding about the lives and experiences of refugee youth. By uniting with educators, film makers and policy advocates, Luchs and Miller (2016) explain how scholar-activism can aid refugees to tell of their own experiences on their own terms. In doing so, spaces are created that cultivate supportive environments for reflection and engagement. There was a deep desire to ensure audiences walked away with an understanding of the challenges young refugee face, as well an appreciation of the obligations countries have who’ve signed up to the Refugee Convention of 1951. Contrary to much news coverage, helping refugees is not an act of charity that we can choose to opt in or out. It is a duty that we are legally bound to uphold. It does not matter what their age is, or their ‘worthiness’ of help, but simply the recognition that they are refugees fleeing desperate situations. This project was naturally challenged by ethical concerns, of which the authors thoughtfully engaged. Not least, the authors desired to ensure the topic was covered in a sensitive and respectful manner. Efforts were taken to ensure violence was not depicted as an act of the ‘other’, and they didn’t want to present personal stories from ‘victims’ and context by ‘experts’. Stereotypes and lazy troupes were also directly tackled through open-ended questioning and conversational interrogation. In this, appreciating that thinking takes time and needs space, was a central concern. Part of the project’s success also was attributed to the use of entry stories; short introductions that drew out commonalities. Rather than dwelling on what separated participants, the project worked on creating spaces in which participants found likeness. From likeness, came empathy and from empathy came thought and reflection. More powerfully, the project disrupted the marginalising discourses that surrounds refugees, and enabled the project’s participants to move beyond a simplistic ‘poor them’ mentality. In doing so, it hoped to inspire awareness and political action. It facilitated engagement and provided accessible space for much needed nuance and complexity. As I return to my news feeds, I see it is filled with three minute videos, images and memes attempting to explain away Trump’s election. They all attempt to capture, in just a few short sound-bites, what on earth went wrong (or right, depending on your political position). Whilst all of us who are politically active, are guilty from time to time of lazy activism, I can’t help but think perhaps this is part of the problem. It is lazy. In sharing and re-sharing our quick, three-minute sound bites, , we perpetuate politics on those terms. The voices we hear from are often limited, lacking in diversity. As a result, the engagement we have with the ‘real’ issues is often reduced. It lacks deep reflection. The world is incredibly complex and requires meaningful thought. When engaging with the political realities of the world, we owe it to ourselves to create spaces of deep reflection and engagement. We must ask the tough questions, pry open and debate the difficult, and relish the challenging. Instead of relying on superficial surface statements, we must strive to create spaces for meaningful understanding and engagement. It’s only through muddling through the messy and difficult, appreciating both depth and nuance, that then can we lay the foundations to trump ignorance. This entry was posted in Area and tagged election, engagement, methodology, Political Geography, Refugees, sound-bites, Trump on November 29, 2016 by kieranspeaks. Two families from the Karen ethnic group who fled from Burma’s repressive military rule and had been living in a refugee camp in Thailand for several years found a new home in the northern city of Sheffield. A recent documentary entitled ‘Moving to Mars’ (by director Mat Whitecross and producer Karen Katz) follows the experiences of these two families as they embark on a life changing journey. The story portrays the day-to-day struggles of its protagonists and provides an insight into the reality of being a refugee in the UK, while also examining Burma’s political unrest. This documentary will be shown on More4 in the forthcoming weeks. 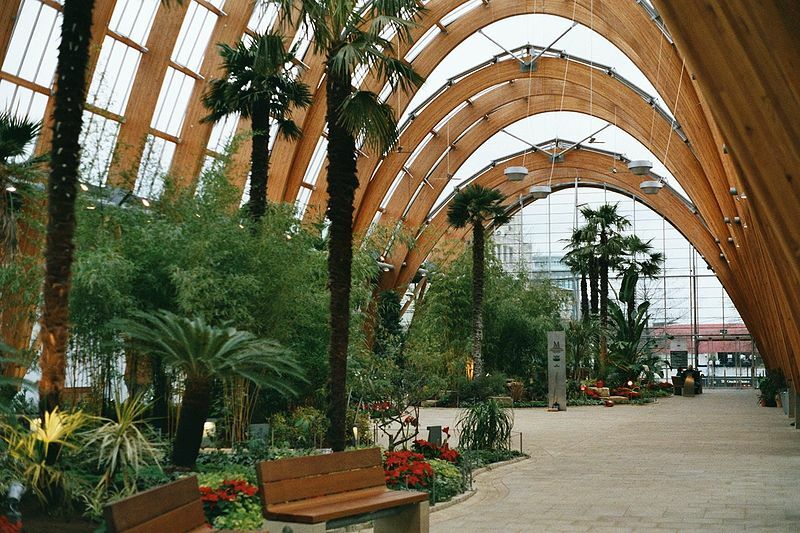 However, the film also introduces another character into the story and that is the city of Sheffield. In a recent article for Transactions of the Institute of British Geographers, Jonathan Darling (2009) explores a social movement called City of Sanctuary which has re-imagined this northern city as a welcoming place towards refugees and asylum seekers (an initiative that has now expanded to other towns and cities in the country). The author “attempt[s] to examine both how we might think the city in a relational manner and how in doing so there is an imperative to move beyond an account of responsibility as accountability, towards a recognition of the negotiations that being responsive to others, both near and distant, demands” (2009:126 – emphasis in the original). His contribution illustrates the potential of an extroverted sense of place, one characterized by flows of relation that may foster greater spaces of sanctuary. This entry was posted in Transactions of the Institute of British Geographers and tagged Asylum, Burma, Cultural Geography, Karen people, Political Geography, Refugees, relational space, sanctuary, Sheffield, Social Geography on January 14, 2010 by rosamg.